I’m one of those Catholics who is obsessed with Saint quotes. I have them scribbled on my planner, saved as … Continue reading Who Said It? 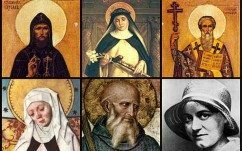 Try our “Quotes from the Saints” QUIZ!